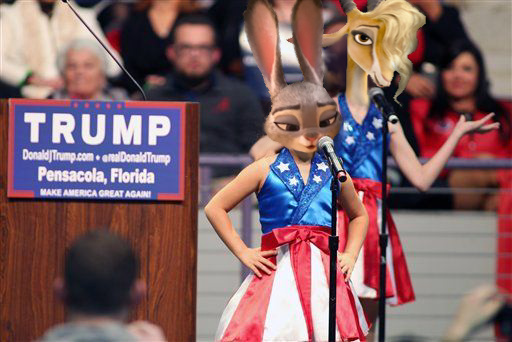 It should come as no surprise that in the horrid world of 2017 a community of furries (people who dress up in fur suits and have furry personas, or fursonas) have declared their support for President Trump and have formed their own subculture. 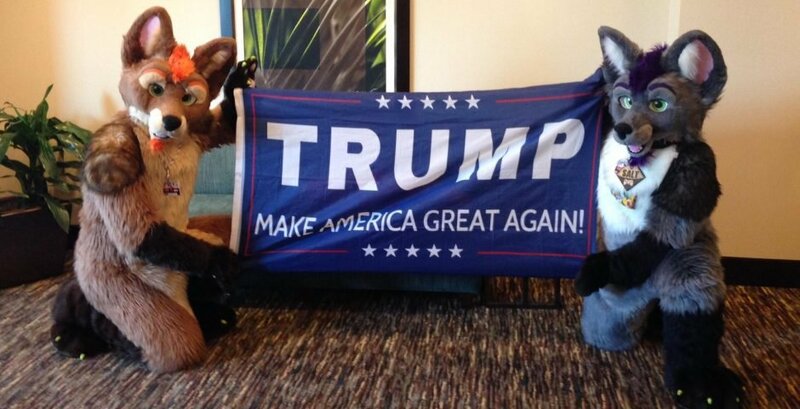 Furries For Trump is the congealing of the furry community with the Trump fanbase – they have a fledgling Facebook page but mostly message each other about being furries and deporting immigrants. Enter the furries themselves, the admins of Furries For Trump – it turns out they're also in the alt-right. They spoke to me in fursona and revealed how among other things, they want to see Jews "out of power." 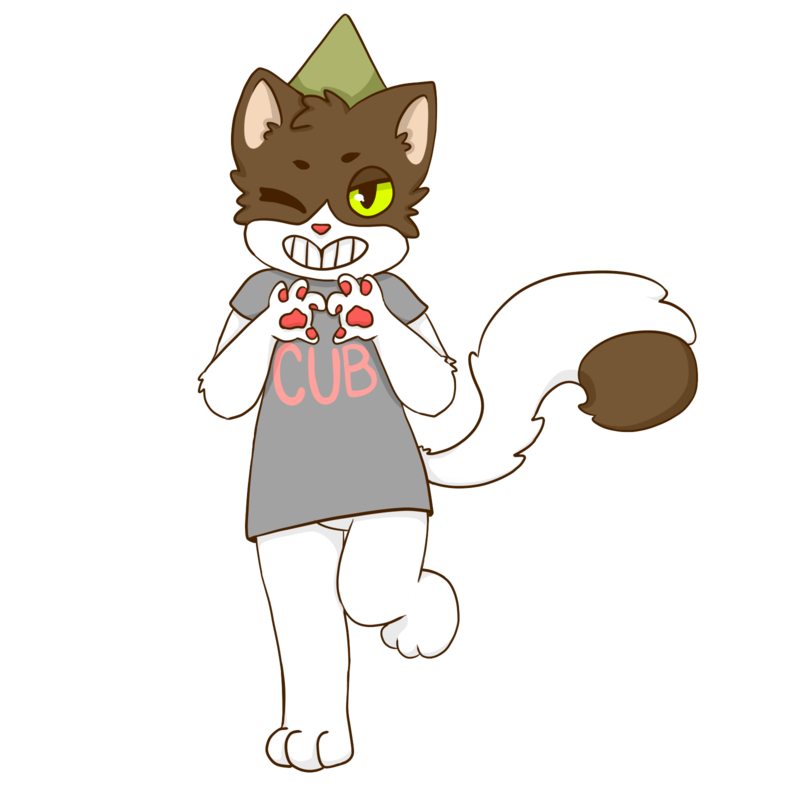 Meet Rene Andre, 17, ("I don't like what the Jews are doing, at all") whose fursona is a cat from Spain living in America and Lorelai, 18, ("Hitler was right") a cat living in Washington D.C. Disclaimer: they spoke at one point about autism and meme magic, a 4chan gag, so this could just be a transcript of me getting owned by two teens pretending to be Jew-hating furries. What good furry traits does Trump have? Rene: He's a pretty nice person. My fursona is a complex persona, he's hard to explain. He's a really nice cat, you can see him on my Skype picture. He's a pretty cute cat and he loves cute things. What's the link to Trump? Is he cute? Rene: No not really, just in certain aspects of his behavior. What would Trump's fursona be? Rene: A lion. Definitely a lion. Lorelai: He'd still wear a suit. And a tie? A really long tie? And a hat? As furries, how do you think Trump is doing so far? Lorelai: I think he took charge right away. And that's what he said he was going to do. Lorelai: With the immigration reform, I think he's doing what he has to do. We need to crack down on that because it's out of control. Where I live I know, I've experienced people who come here and don't act grateful. Lorelai: Specifically the Middle East. So you must think the travel ban on people from Middle Eastern countries is a good idea? Lorelai: Yeah. Because we do need time to sort things out. Have you met many Trump supporting furries? Rene: I know a lot. There's actually a really large community around it. We're odd furries. And what does it mean to be an odd furry? Rene: It's like when politics connects to the fandom. Lorelai: I agree. The alt-right furry community, if you find each other you all stay together. What does alt-right mean for you guys? Rene: The revival of western civilization. Lorelai: The same thing. Installing more traditional values and making it more about Americans. How many people are both alt-right and also furries? Is it thousands, hundreds, or a few dozen? Lorelai: It could be hundreds. Rene: We don't know the exact numbers but on Facebook I do know a lot of them. And do you get accepted by the rest of the furry community? Rene: It's actually a tricky question. It's a yes and a no. The furry community is kind of divided. Do you go to furry events? Is it difficult to talk about your political beliefs when you're in your fursona? Lorelai: I have. For some reason, a lot of furries are left-oriented. So I don't really go and put myself out there in those sorts of situations. I just sort of go. What's harder, being a Trump supporter or a furry? Rene: I'll go with furry. Lorelai: I still think it's a furry. Because everybody doesn't understand it. Rene: There's a lot of Trump supporters out there. Furries for the most part don't have the same popularity as Trump. Trump is politics and furries are something else which many people don't understand. Any instances where it's difficult to be a furry? What are those like? Rene: That pretty much happens all the time. Rene: You know, some people straight up insult me. That kind of stuff. What, like making fun of you? Rene: Just the fandom in general. Lorelai: They think you're crazy. What does being a furry mean to you guys? Rene: That's the trickiest question. Furries themselves don't really know how to explain it. It's some sort of mystical nice cutie energy, if you know what I mean? Rene, you've described your fursona. But Lorelai, what's yours? Lorelai: A cat. And it's a cute little sort of happy and positive cat. And I just think I put that in my personality. It's a different way of seeing myself. Do you have the suits? Rene: No, but I wish I had one. Like Japanese fursuits. I love the paws. Furries have an affinity with paws, it's even in the symbol of the fandom. When did you become a furry? Rene: It goes way back to being a kid. I used to watch Warrior Cats, and that kind of stuff. Lorelai used to watch that stuff too. Lorelai: Yeah. Warrior Cats is a book series about… well, they're just cats but like, cat clans. It makes everybody a furry even when you're young. You realize there's a fandom, and then it goes from there. 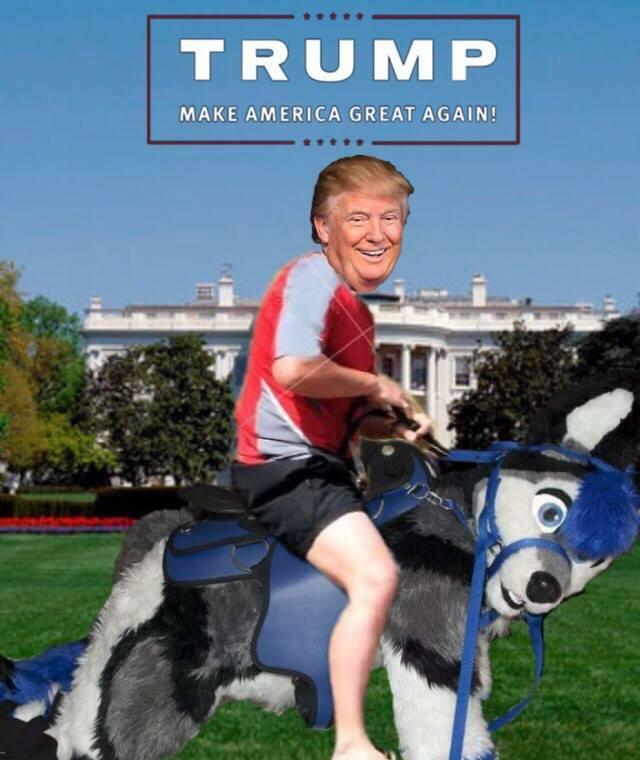 Where do you hope Furries for Trump goes from here? Rene: Not much plans. But I could probably grow it. Lorelai: I just love the idea of alt-furries becoming more popular. I already know it's pretty popular. Almost every alt-right person in general is some sort of anime fan or furry. The alt-right has a reputation for being anti-Semitic – what are your thoughts on that? Rene: The alt-right is a really big movement, it has all kinds of people. And yes, there are indeed Nazis in the movement but the Nazis don't really like to call themselves the alt-right actually. So what do you guys think about Jews in America? Lorelai: Well it's not really the race itself. Lorelai: Yeah, the globalists. It's the group of people who are controlling America and stopping it from the people being free. And it's been there forever, seeing the people controlling the country and everything that we do. And that's what is considered Jews. And it's the same thing Hitler said all the way back. It's the same idea, you listen to his speeches and it's exactly what's happening today. Lorelai: I think that he was somehow. But I don't focus on that today. Rene: I do actually. Hitler… I'm gonna explain. If Trump makes America great again, Hitler basically makes civilization great again. Hitler and his Nazi regime was actually really inspired by the Roman Empire. The salute actually comes from the Romans. In many ways not just from culture and preserving people from the country. Even architecture. If you look at Nazi architecture, it goes for more Gothic style, Medieval, not the modern architecture that you see today. It's really inspired by Romans and that kind of stuff. These globalist Jews in America, what would you like to see happen to them? Rene: I think they should go. I don't like what they're doing. At all. Lorelai: It's all because of democracy too. And where would you like them to go? Rene: They shouldn't have power, at all. Rene: A lot of people who have autism, now that I think about it, are in the alt-right. Rene: We all really have it though. Rene: Yeah. Have you heard of the whole meme magic thing going on? I really believe in that stuff. It's this magical thing. We just make things happen. It happened all through my childhood. I just make things happen. I think things are they happen. I don't know. It's kind of hard to explain, it's really intuitive what goes on. Lorelai: Yeah and it's related to autism. Rene: It's like, we are the second coming of Christ except we're not just one person, we're lots of people. There's a lot of really spooky spooky coincidences. A lot of people when they hear meme magic and how we made Trump win, it sounds crazy. But if you look more into it, it's actually true though. We did somehow make it happen. We manipulated reality. Or something. I've got to ask, is this all some massive joke? Rene: It's a semi-joke. But we do support Trump and we are furries though. So it's in the middle. But the whole alt-right thing, are you serious about it? And wanting Jews to go? Rene: I don't want them to die or anything like that, I'm not radical. Lorelai: They just need to be taken out of power. OK. Well thanks for explaining. It's been interesting.